It may be small, but Lithuania is the geographic center of Europe, and the meeting of Western and Eastern culture is evident. 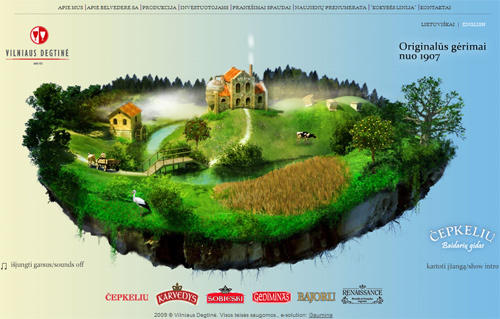 Lithuania is one of three Baltic countries, so-called for its proximity to the Baltic Sea. 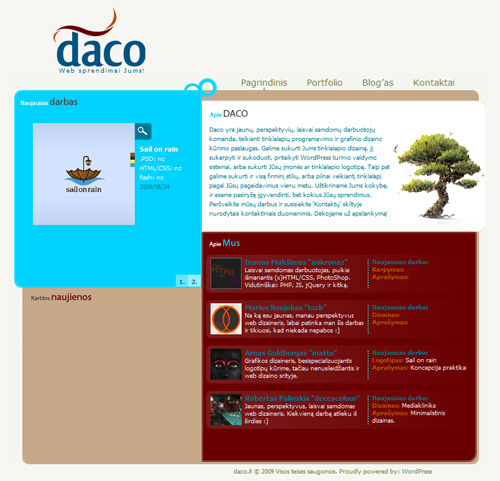 In 2009, it celebrated the thousand-year anniversary of its name. 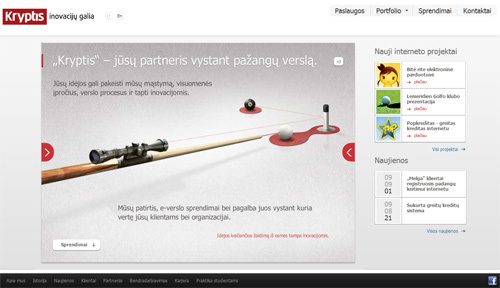 Lithuania is known worldwide for its love of basketball, but today we’ll acquaint you with its Web design industry. 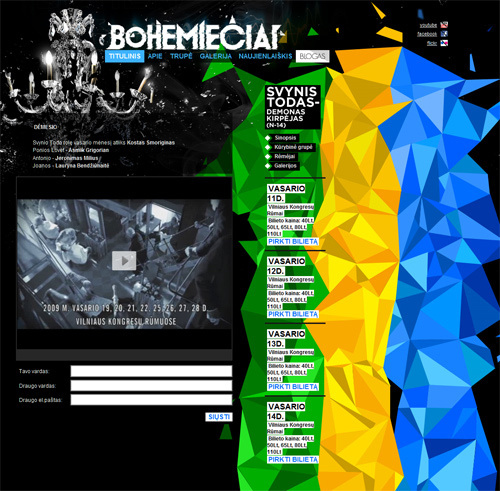 In Web design, Lithuania is still a young country; the Internet boom began only about five years ago, and the country doesn’t have a good Web design school. 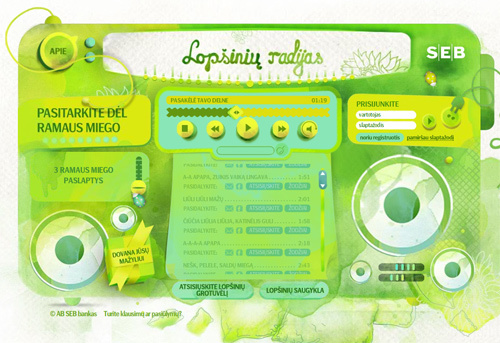 Most Web designers have studied in Western countries or are self-taught. 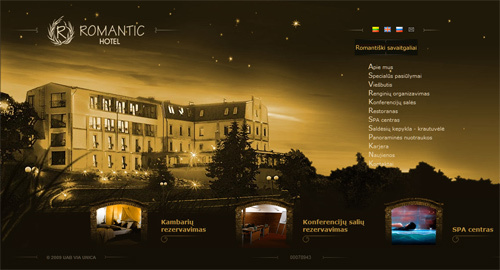 Most work is done for hotels, rural tourism and real estate websites. 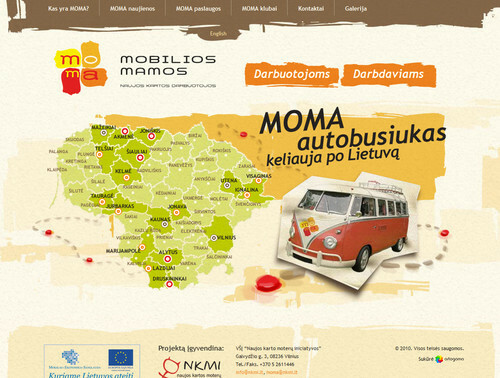 Lithuania quickly adopts new technologies, and demand for Web designers and developers is increasing. 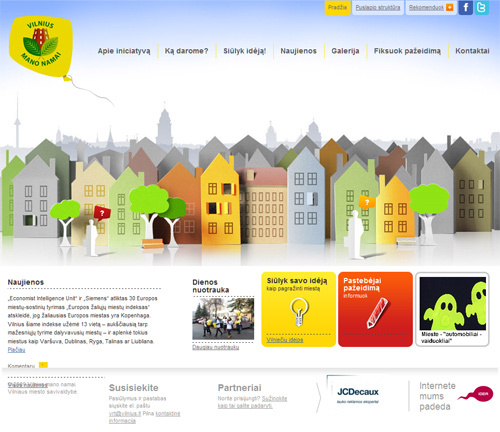 While preparing this showcase, I noticed that many Lithuanian Web designers like Flash technology. Many websites have Flash elements, which can help present a company’s goals, services and prior work. 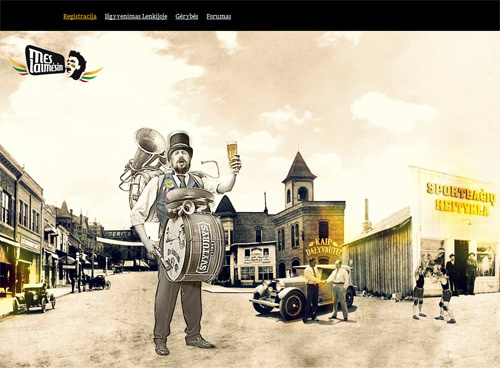 Flash can help websites look professional, modern and dynamic. 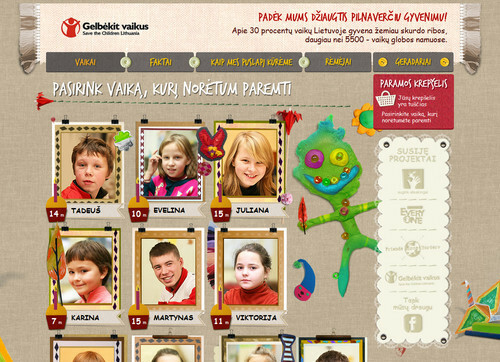 To better understand the Lithuanian Web design scene, I interviewed two professional and experienced freelance Web designers about their work. 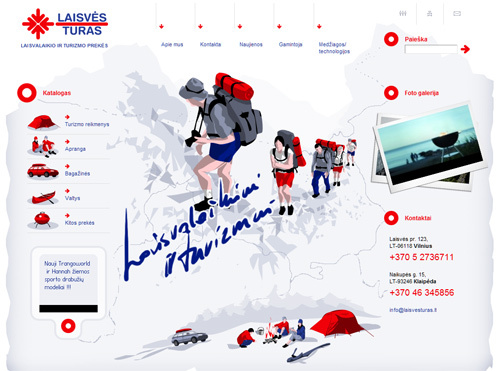 I spoke with Donatas Vainilaitis, a freelance designer who has worked with companies from Lithuania and Europe, and Osvaldas Valutis, another freelance Web designer and student. 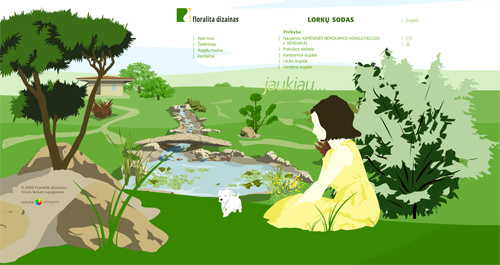 Both are based in Vilnius, Lithuania’s capital city. 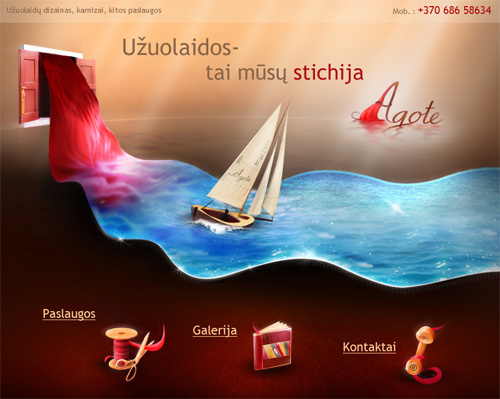 Donatas Vainilaitis is a freelance Web and graphic designer. 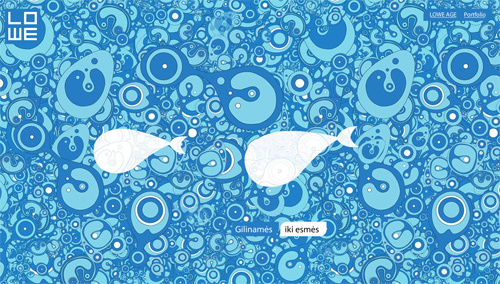 His career began in 2003; since then, he has worked for a number of design studios, advertising agencies and corporations. 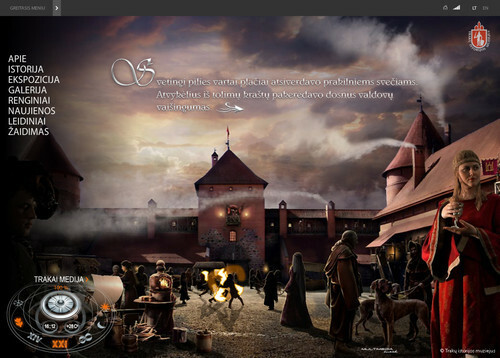 Donatas’ favorite tools are Photoshop, Illustrator and Flash. 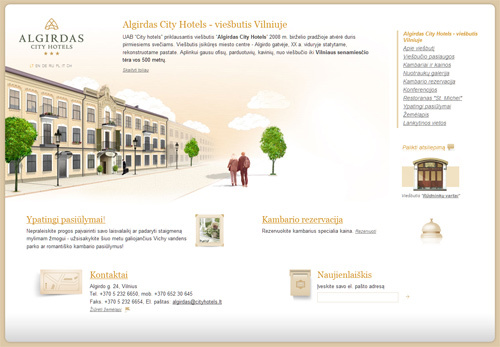 Osvaldas Valutis is a 21-year-old front- and back-end Web designer and developer based in Vilnius. 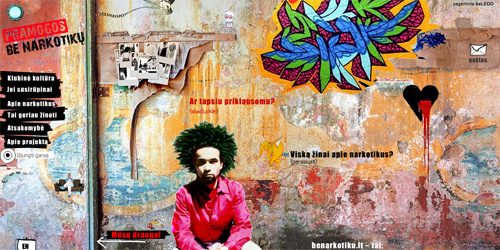 Valutis is working as a freelancer while finishing his Bachelor’s degree in Computer Science at Vilnius University. 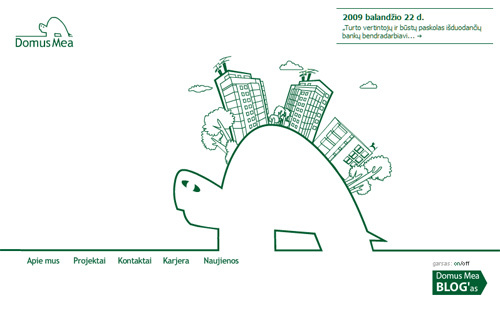 Question: Describe the life of a freelancer, developer and designer in Lithuania. Donatas Vainilaitis: It’s complicated because you are also an accountant, manager, director and so on! But it’s a lot of fun. Everything depends on you and you alone. When something goes wrong, the blame is yours, but when you make something beautiful and useful, it’s so satisfying. It’s also a huge responsibility. Some people like it and some don’t. I love it. Everyone thinks that when you freelance you sleep until 2:00 pm, and you work solely with clients you like. That’s not true; you must work a full day to be successful. The client must know that if he calls you at 9:30 am you won’t still be in bed and you will be able to answer all his questions with a clear mind. Of course, when you finish a big project or you’re waiting for feedback from a client, you can have a couple of days off—even in the middle of the week. That’s one advantage to making your own schedule. In fact, there are many advantages that have probably already been covered in thousands of other articles, so I won’t mention any others. 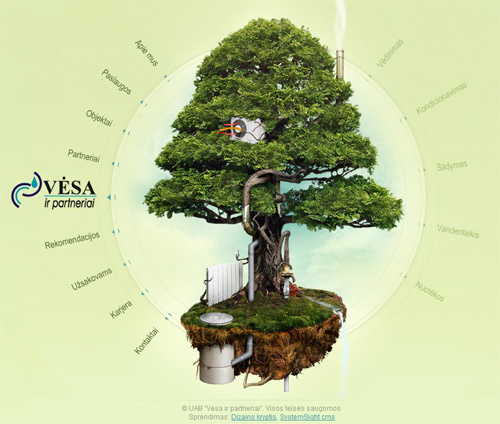 Osvaldas Valutis: Designers design, and developers develop. To each his own. Although I don’t design for print or the Web, I enjoy coding, experimenting with CSS3 and enabling functionality in my own designs (I’m sure I’m not the only exception to the rule). Believe it or not, the thrill of being able to do everything, from A to Z, is like a drug; this is a passion. And filling it up with caffeine increases the thrill! Question: Are there any regular meetings or events? 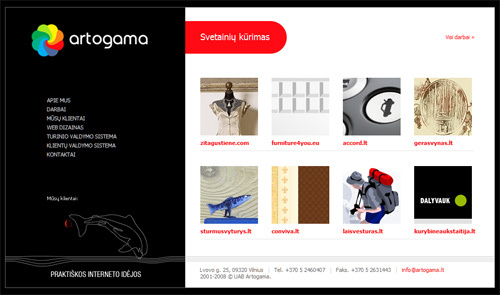 Donatas: I usually try to meet clients face to face. Of course, if he’s in another country, then it’s more complicated, but not impossible. This isn’t necessary, but it’s how I like to work. Of course, there are necessary meetings, like when you are working on a big project with a group of people. It’s much better to meet somewhere in person than to hold Skype conferences or write long email threads. Osvaldas: I wish individual designers and developers had more opportunities to participate in events related to Web design and development, but the offline life isn’t that dynamic yet. I’m not saying nothing is going on in public, but we lack specific events. Bloggers, for example, have a real festival for themselves every year. Should I start blogging or buy a ticket for “The Future of Web Apps: Miami”? Or both? Question: Where do you get inspiration from? 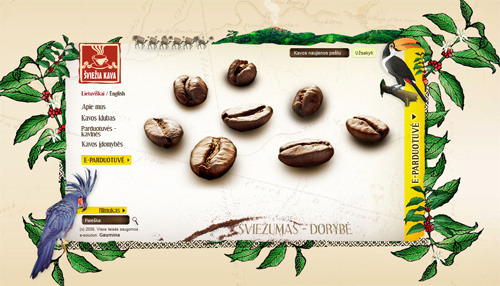 Donatas: Usually, I’m as far away from the computer as possible when I get inspired. Books, people, events and exhibitions are inspiring, especially when I’m struggling with a project. I turn off the computer and go out for some fresh air. Sometimes I don’t turn it back on for a few days. The Internet is a good source of inspiration, but only when you know what you’re looking for. 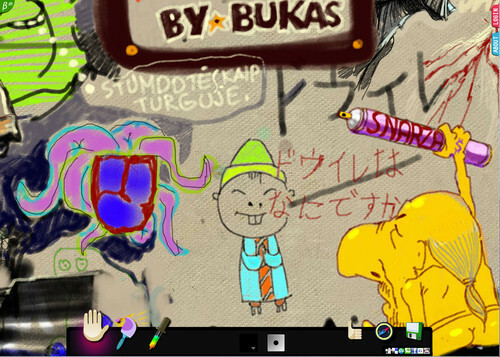 Browsing websites aimlessly overloads your brain with useless information. Osvaldas: I don’t have a specific inspirational source. I’m inspired by various subjects: people and their creations (no names—I’m speaking generally); nature (if you check out my website, you’ll see what I mean); pixel-perfect designs; tasteful and carefully chosen colors and fonts (while strong shadows and awkward borders have the opposite effect—they throw me off track). 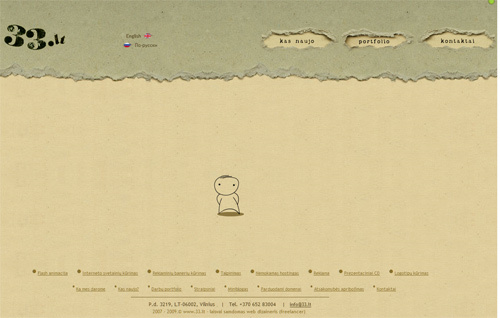 Some avoid recalling the Web design habits from the last decade, but for me it’s dark humor. Question: What’s the situation with the market? How much do designers earn? 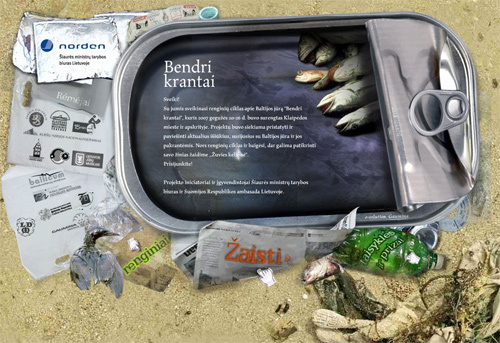 Donatas: Designers will never earn enough, that’s for sure. I can’t speak for other designers. There are so many of them, and they work at different levels and all have their own principles. For some, the priority is money, and for others it’s the quality of their work. For me, I feel successful when I can eat what I want to eat, live where I want to live, buy things that are necessary and go on vacation more than twice a year. 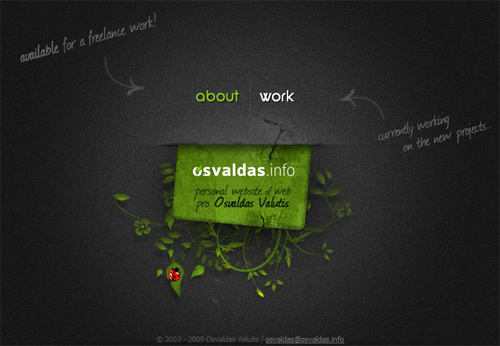 Osvaldas: Earning a living as a professional designer isn’t an inexplicable phenomenon. Its feasibility depends on your business style and how intelligent—not rich!—your clients are. Personally, I aim for quality, so I will never support cookie-cutter websites. In a capitalist system, there will always be two types of workers: those who fight to survive and those who are financially successful and stable. Freelancers vascillate between these two states until they find their own place under the sun, so to speak. Be brave and find yours! 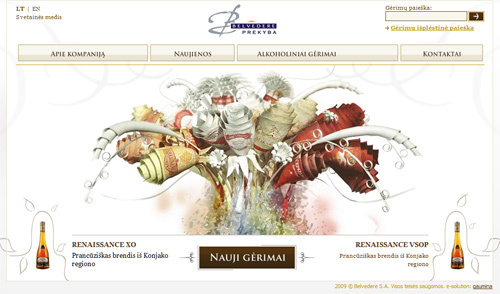 Question: Is being a Web designer considered high-level, sophisticated work? Donatas: I think there are too many Web designers right now. Let’s say I meet ten designers today. Only one of them could I call a high-level, sophisticated professional. But I think this has more to do with character than with the profession itself. Osvaldas: The more experienced you are, the better the results you are expected to produce. Sophistication in this field has to do with personality, with a person’s ability to manage him or herself. Of course, life forces you into all kinds of situations, and one more skill will always make the way easier. It’s hard to believe, but learning something new every day can positively affect your life! 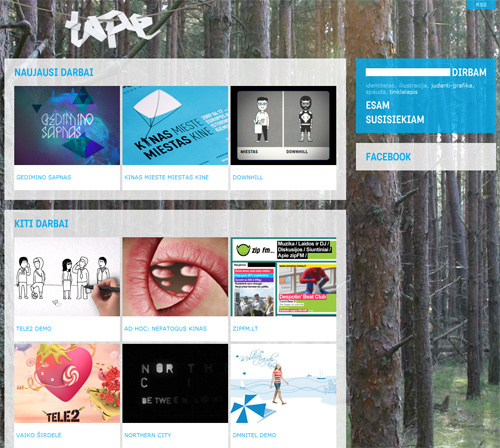 Question: Do designers still use tables for layouts? Osvaldas: Yes, it happens sometimes. I’m really surprised when some of the top-rated Lithuanian Web agencies use tables for layouts, but I think it’s only a matter of time before <table> is used only for tables. Coding culture is geting more positive all the time, which is good. 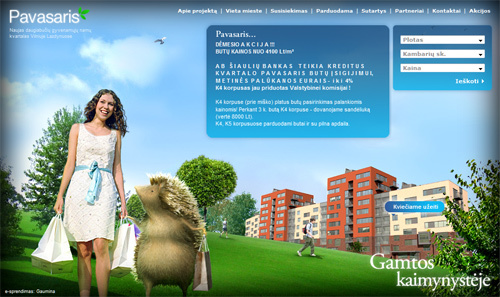 I know that Lithuanians care about their code. 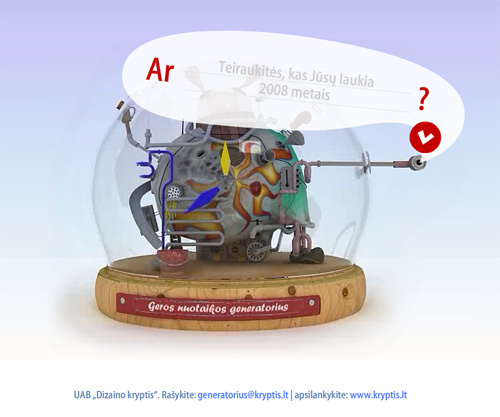 Question: How do Lithuanian designers handle typography? Are any particular font-embedding techniques widely used? Are many fonts available? 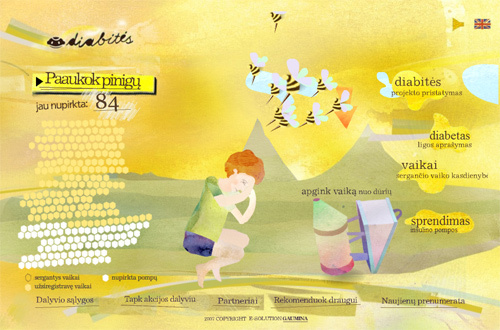 How vivid is typography in Lithuanian Web design? 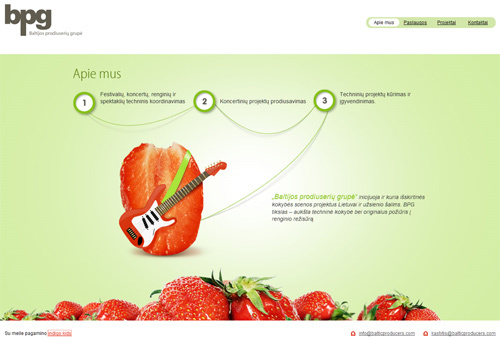 Osvaldas: Typography on the Web in Lithuania is tidy enough. Content is easy to read, so the best word to describe it is “simple” (although I don’t want to leave out “courageous”). 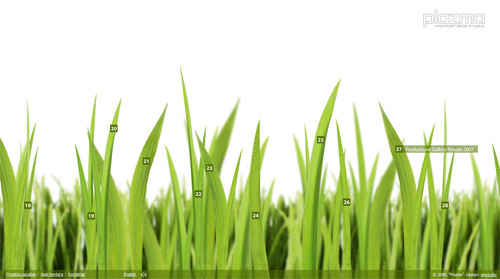 Designers aren’t sure (and I have to admit, neither am I) about how to use font-embedding techniques. Typography here is, in a way, static. I believe the inability of CSS2 to embed fonts is one reason for this, but waiting until CSS3 works for all Web browsers is not a solution. From now on, I promise to be more universal. Are you all with me? 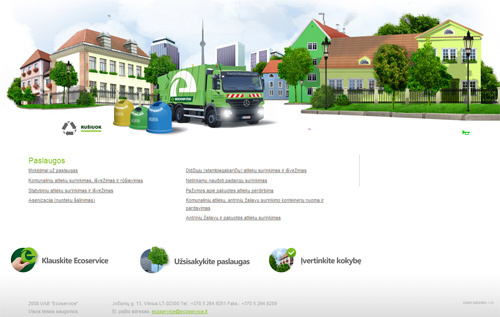 Question: Are any features unique to Lithuanian Web design? Donatas: I don’t think so. 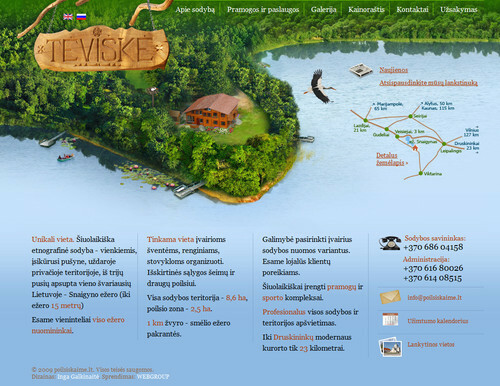 There is no Web design school in Lithuania that could teach you more than average Photoshop or Flash skills. 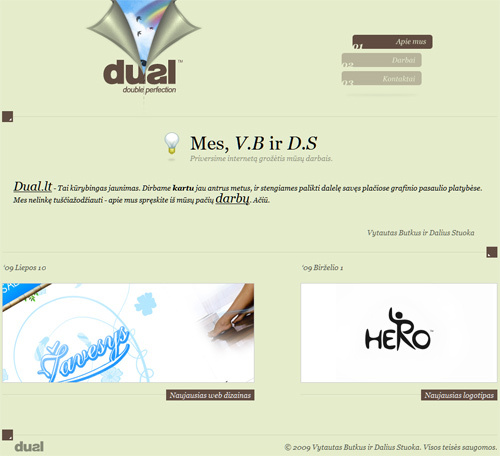 Most Web designers here are self-taught. They browse the Web and read tutorials—which, of course, are not Lithuania-oriented—and everyone develops their own style over years of working at the job. Osvaldas: I touched on this topic in my answer above. Briefly, a few shortcomings are vibrant fonts, forms and textures; these techniques are typically avoided, although I have spotted some changes recently. So the situation is getting more interesting every day. Conclusions? Don’t be afraid to innovate. The first reaction is usually skepticism, but in time people adapt and find benefits. Question: How does it all work? Is the situation currently comfortable or difficult? 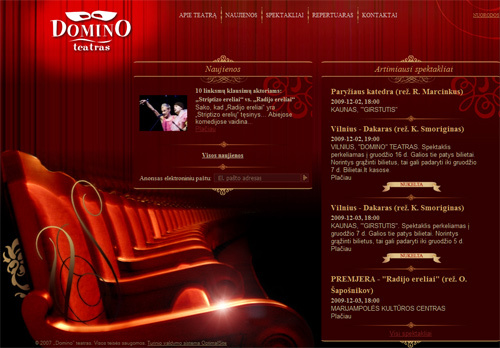 Do most customers want English-language or Lithuanian-language websites? Donatas: It depends. What do you call a comfortable or difficult situation? If it has to do with money, then yes, you have to work more to earn the amount of money that you earned two years ago. However, there are some good things about the way the business has changed: people have become more careful about the money they spend, and people have to be more serious about the products they sell. The customer comes with a certain amount of money to spend on their website, and they need a good project, a good designer and good service. This is the time to show yourself off and also to evaluate your own skills. If you can make it through this hard time on your own, then you can truthfully say that you are a specialist in your field, and you will have gained a lot of confidence. 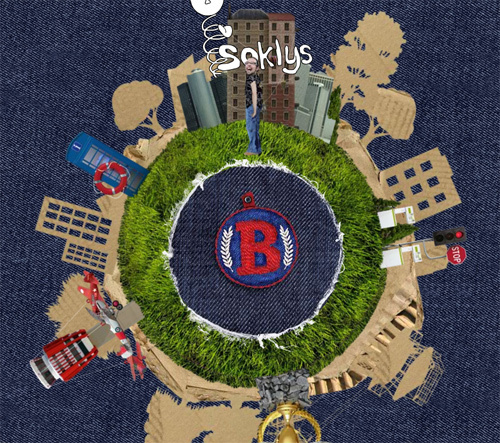 Osvaldas: When the economic recession caught us, I thought, “Oh no. Will my income get too tight? Will I lose my current clients, not to mention the possibility of new ones?” Believe it or not, nothing like that happened. Rather, things turned out better than I thought they could. Some say God saves us, but I say everyone is the master of his own destiny. 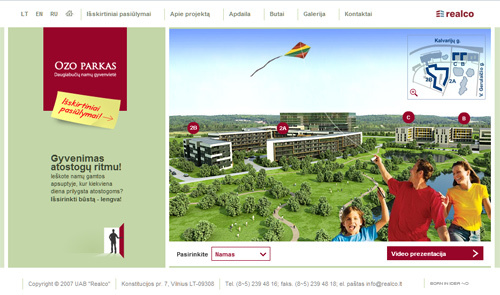 Lithuanian-language websites are, of course, the priority, but clients in most cases do not refuse a second or even third language on their website. 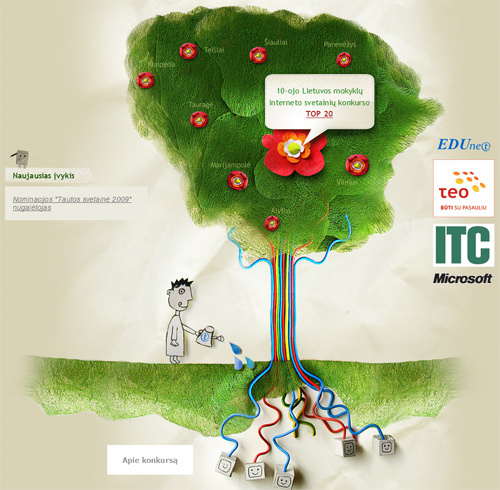 Handling multi-language technologies and concepts isn’t actually that difficult to do. 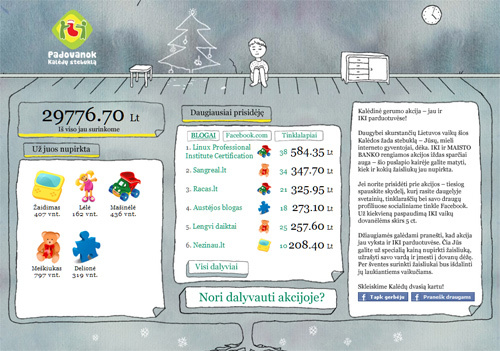 For such a small country, Lithuania has more Web agencies than you might think. The best known are Gaumina, Kryptis, Itema, Profis and Artogama. 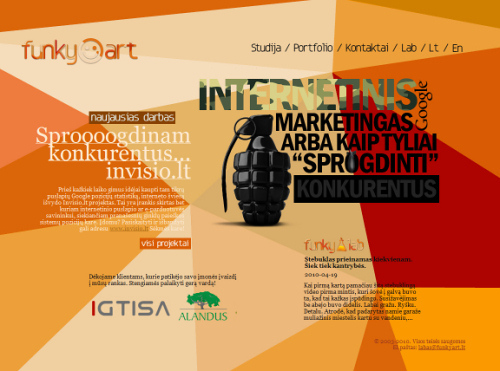 Most freelancers in Lithuania are young and self-taught. 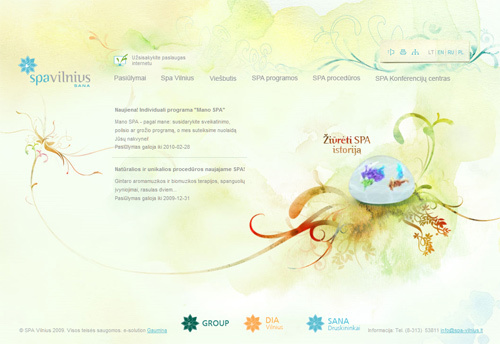 Some do really great work and are professional enough to represent Lithuania. 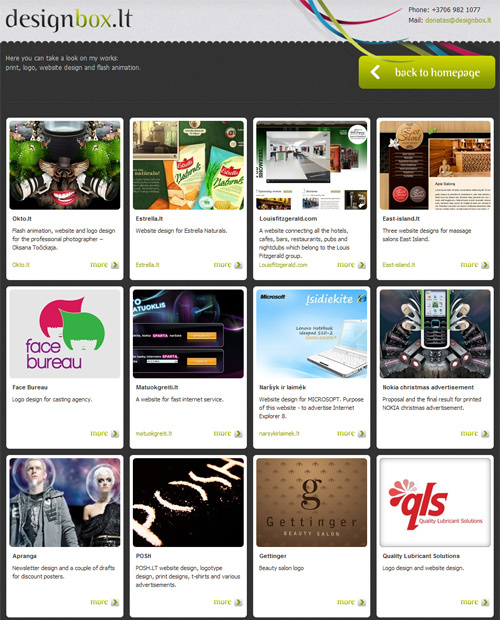 Not all freelancers have a self-hosted portfolio; most of them use Behance, DeviantArt, Flickr and other networks to display their work. 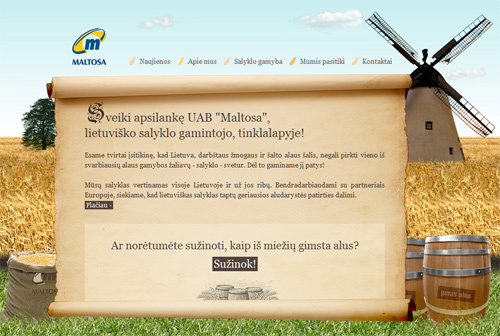 What do you think of the Lithuanian Web industry? Have any exceptional websites not been included here? Share your thoughts.